When you have joint pain and every step you take is painful, it’s probably time to have surgery. That’s what Connie Mielke, age 61, found late last year. 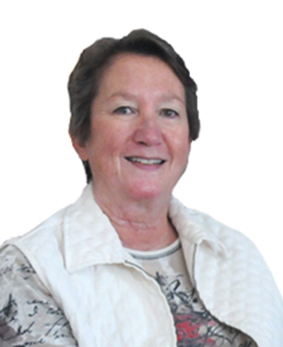 Connie worked as a public health nurse for Olmstead County in the Rochester area for many years. Two years ago, Connie and husband Keith retired and made the move from Rochester to northern Minnesota. They remodeled their cabin on Big Sandy Lake for year-round living. After transferring her healthcare to Riverwood, Connie got referred to Dr. Erik Severson, orthopaedic surgeon with Minnesota Center for Orthopaedics in Aitkin and Crosby. In January 2018, when her right knee pain was at a point where she had great difficulty walking, Connie had a total knee replacement at Riverwood Healthcare Center. Dr. Severson used a Rapid Recovery pain management protocol, which enabled Connie to be up walking the day of surgery and discharged the next day. After six weeks of twice weekly physical therapy at Riverwood’s McGregor clinic, she was walking pain-free again. Well on the way to recovery by mid-February, Connie and her husband enjoyed a 6-week trip to Arizona where they enjoyed long walks in lots of scenic places, including Lake Havesu City.